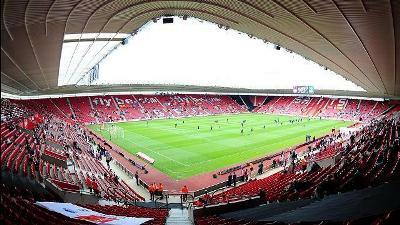 Premier League Results: Score, Match Analysis and Highlights from the Fixture between Southampton vs Liverpool on Saturday, March 16, 2013. Includes Video Highlights for U.S. viewers (as available). Southampton were largely the better team in the first half with 13 shots and 7 of those on target. Liverpool had some good chances and a good conversion rate with 4 shots, 3 on target resulting in 1 goal. The second half Southampton were the better side again despite a strong start by Liverpool. For the match Southampton took 18 shots with 11 on target resulting in their 3 goals. They certainly kept Brad Jones busy in goal. Liverpool took only 10 shots (quite low for a team that typically gets close to 20 per match) and had half of those on target and only the 1 goal. Southampton did very well to keep Luis Suarez quiet along with Liverpool’s many other attacking options. Southampton were deserved winners on a day that they can move farther from the relegation battle. They are currently sitting in 15th place with 31 points, 7 points above Wigan. Liverpool’s loss today more or less keeps them from their dreams of reaching fourth place this season. They are still within touching distance of the Europa League place in fifth, but even that is 5 points behind Arsenal who have a match in hand. They are also 3 points behind Everton who are in 6th and also have a match in hand. Ugh. Another disappointment from Liverpool. Only 4 shots on goal? When they were down nearly the whole 90 min? Unacceptable. Liverpool did have over 50% possession, but Southampton did an excellent job defensively to keep Liverpool from getting any decent looks on goal. Pocchetino did very well tactically to shut down Liverpool.